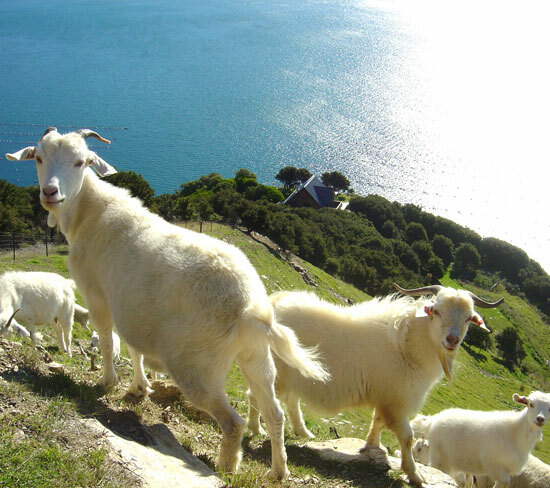 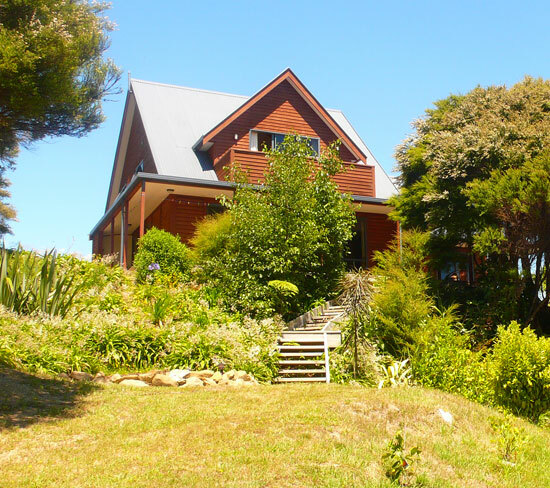 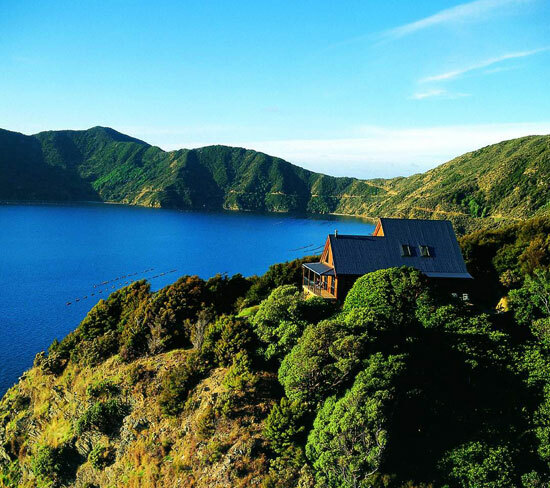 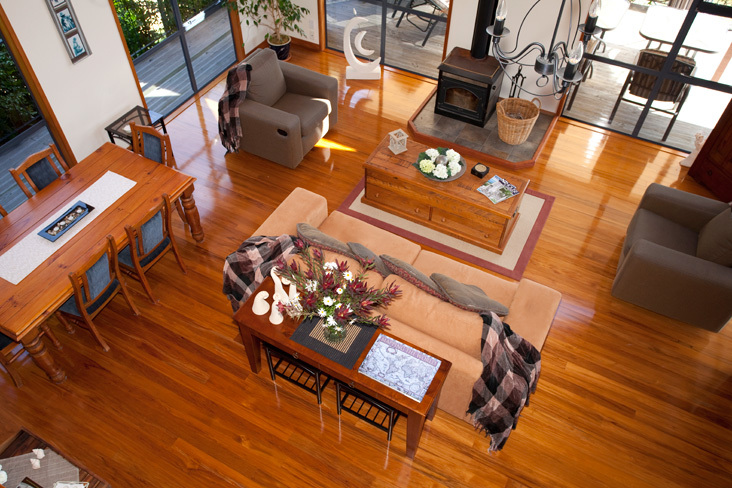 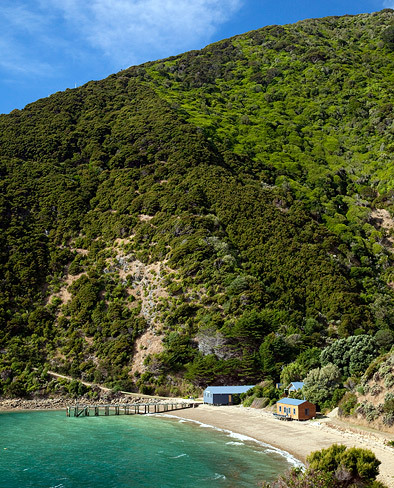 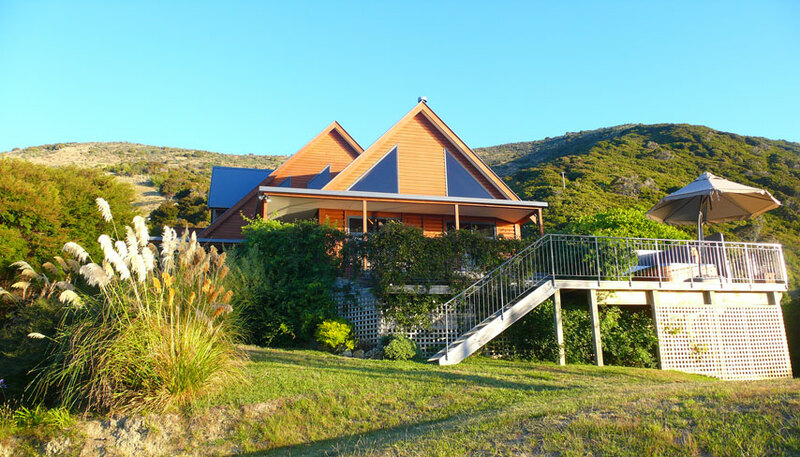 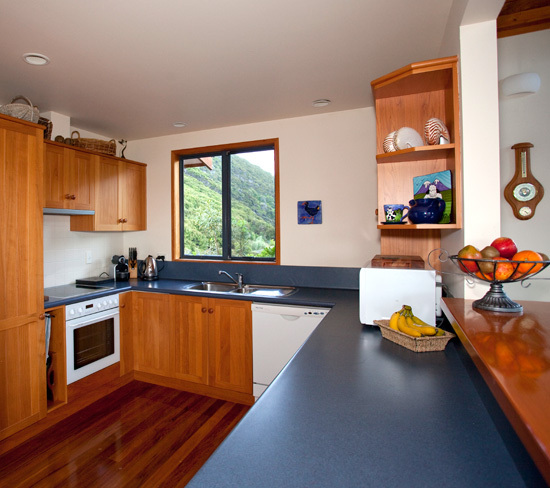 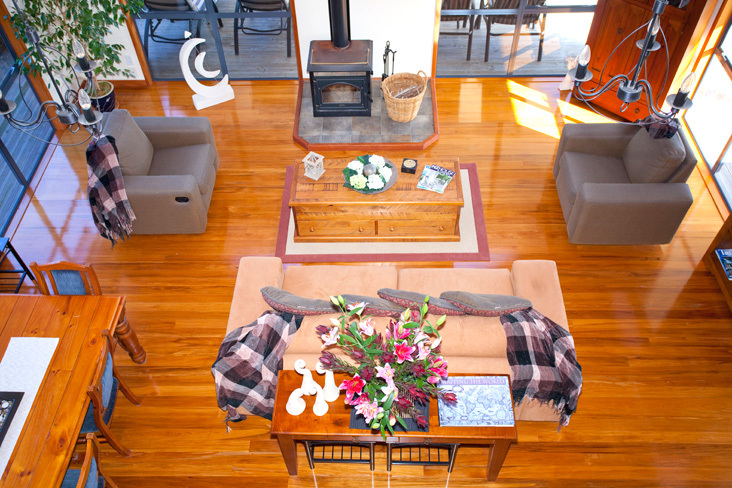 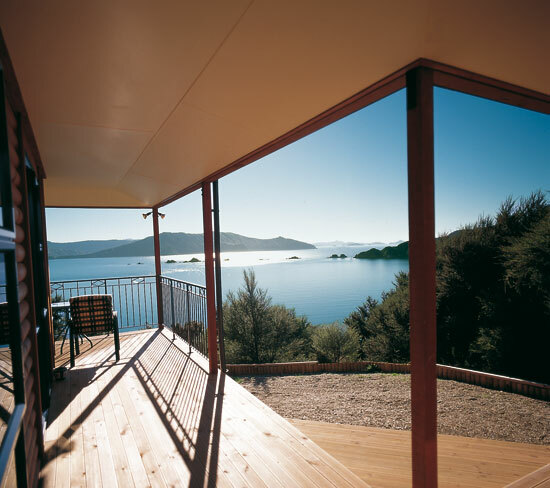 The lodge "Te Paruparu", built with local timber, is peacefully located on top of a hill and offers a panoramic view over the bays of the Marlborough Sounds. 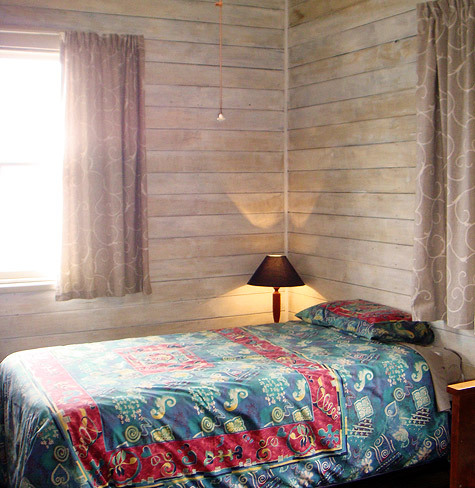 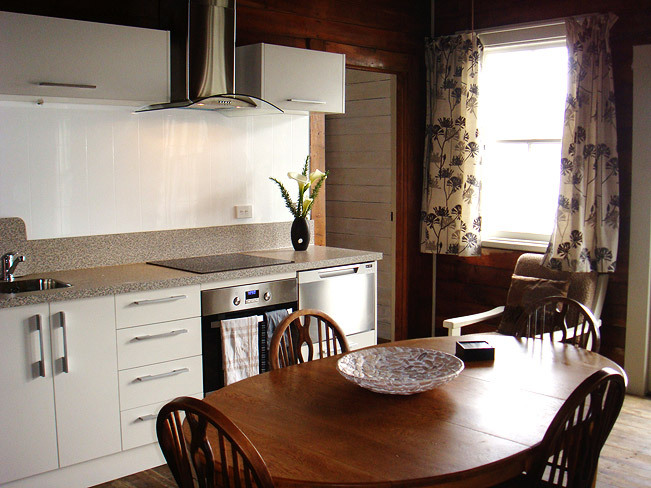 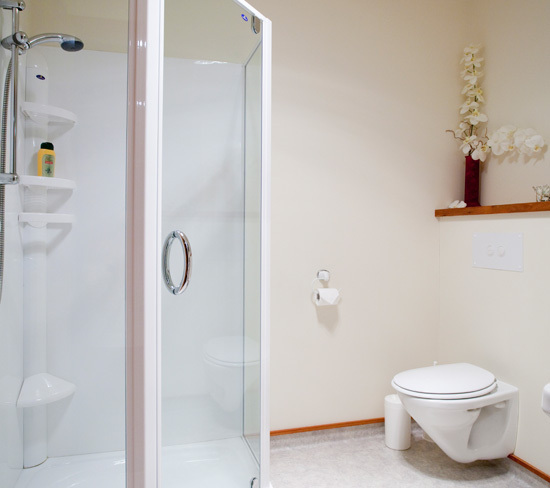 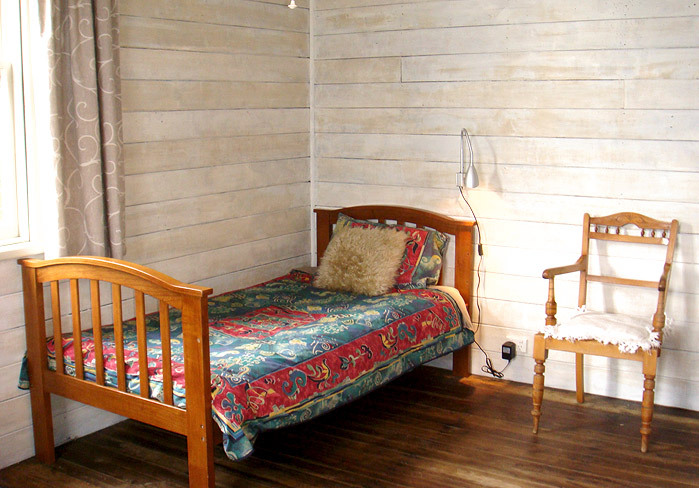 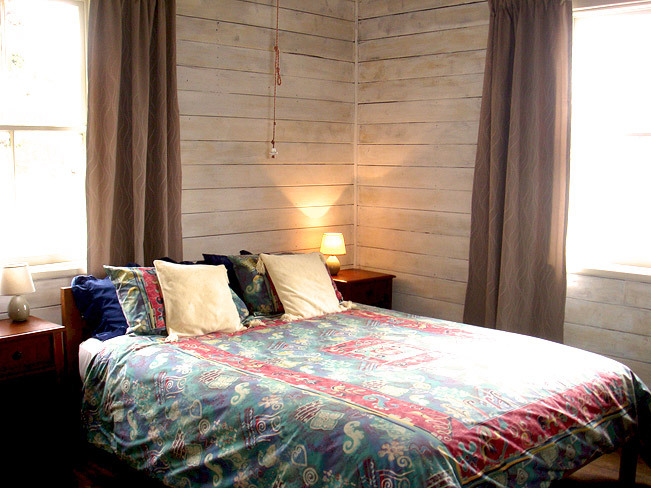 The stylish lodge of 240 sqm has three bedrooms - each with a modern en-suite - and comfortably accommodates 6 to 8 guests. 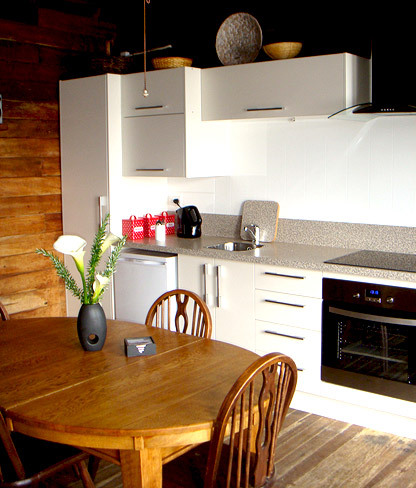 The fully equipped open kitchen, the dining area and the generous, light-flooded living room, designed in a gallery concept, form the centre of the lodge. 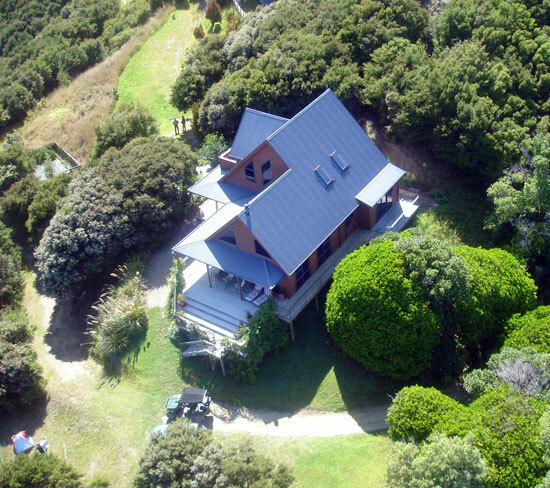 Here you will find a library, satellite TV, an audio and entertainment system with a selection of DVDs and CDs, games, a professional telescope for watching the stars and a lot more. 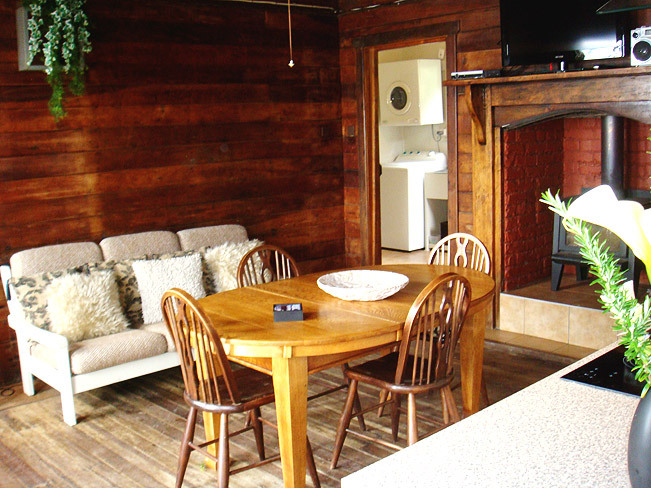 Of course you have a telephone, fax machine and internet connection at your disposal. 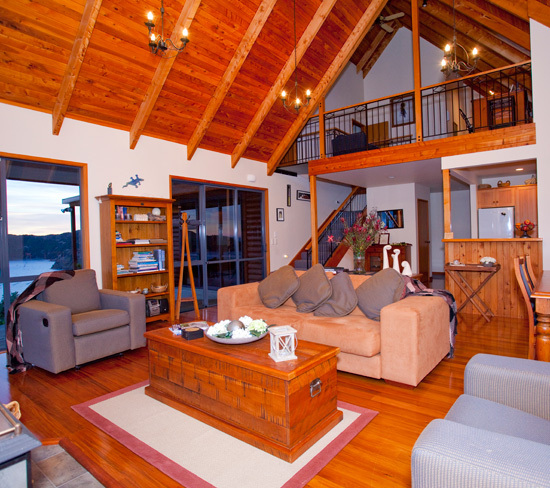 The exclusive lodge is rounded off by a roofed veranda surrounding the house and a Jacuzzi with a view of the Sea. 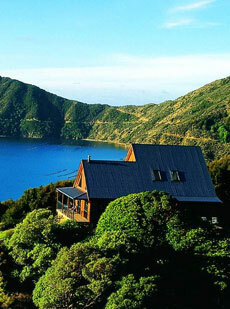 The lodge's own fresh island well guarantees water supplies all year round. 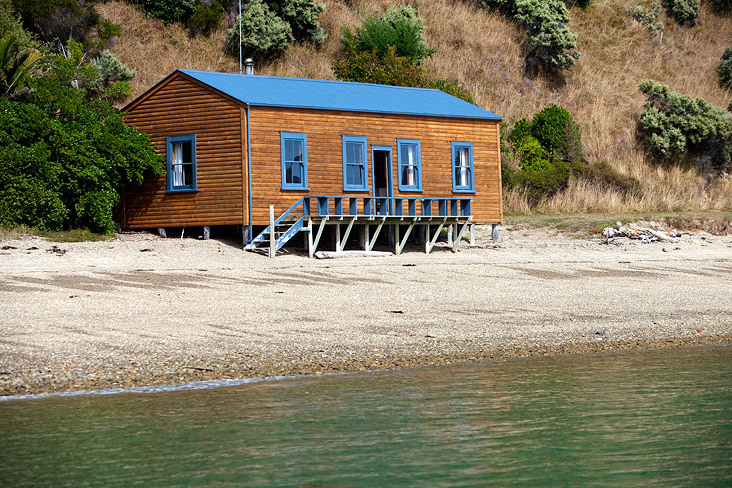 The charming Shorebeach Cottage presents a superb base for all of your island adventures, putting the fun into functional. 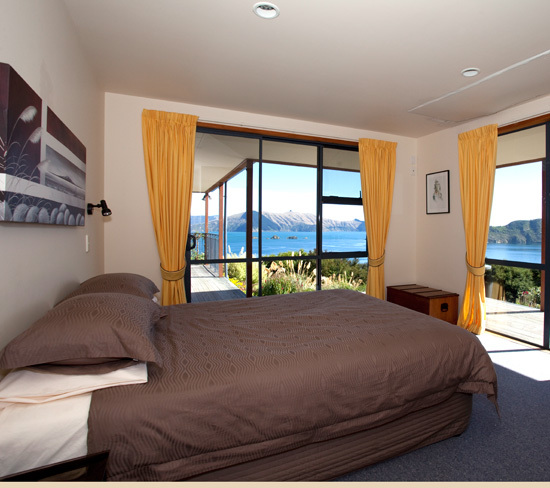 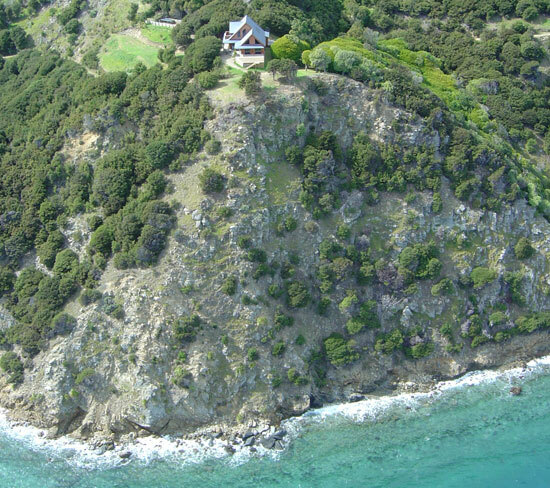 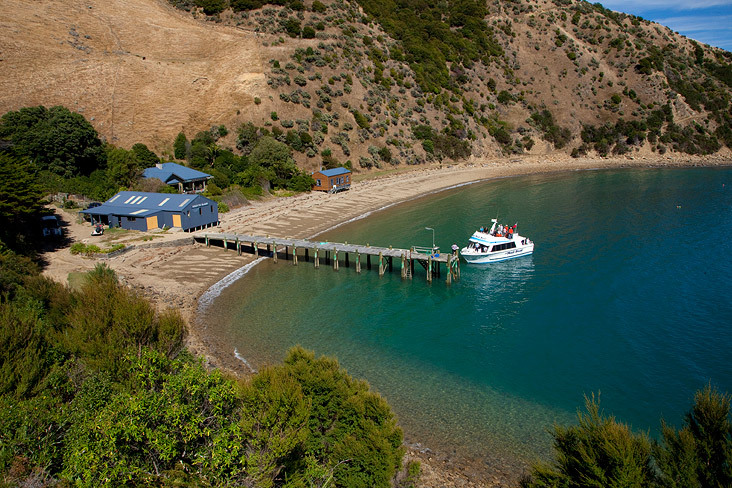 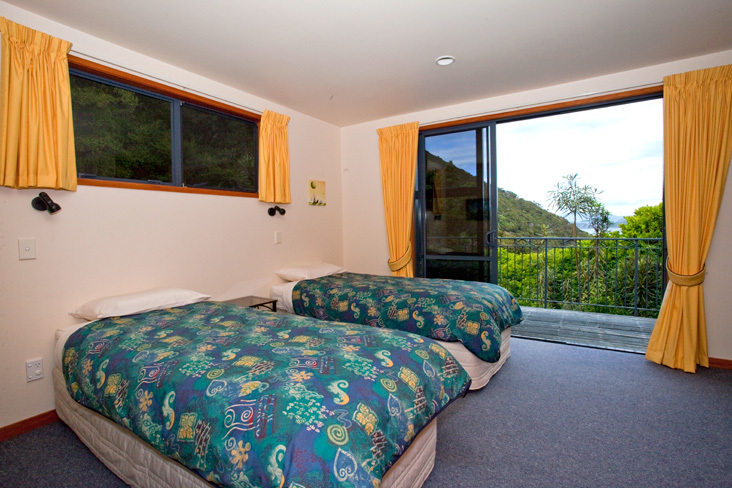 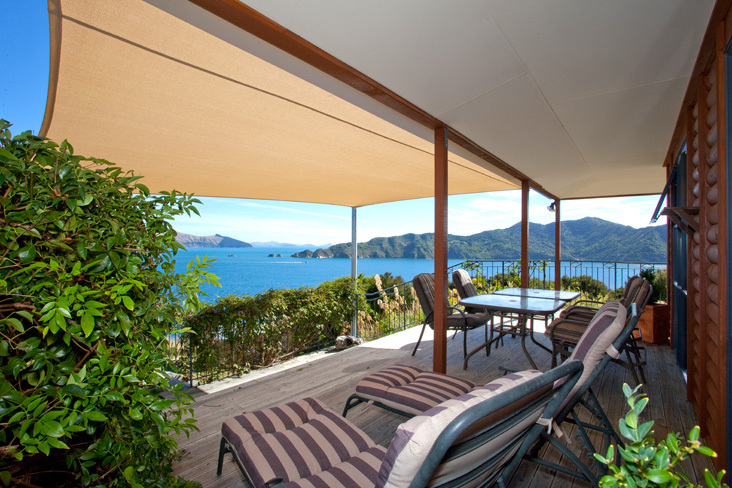 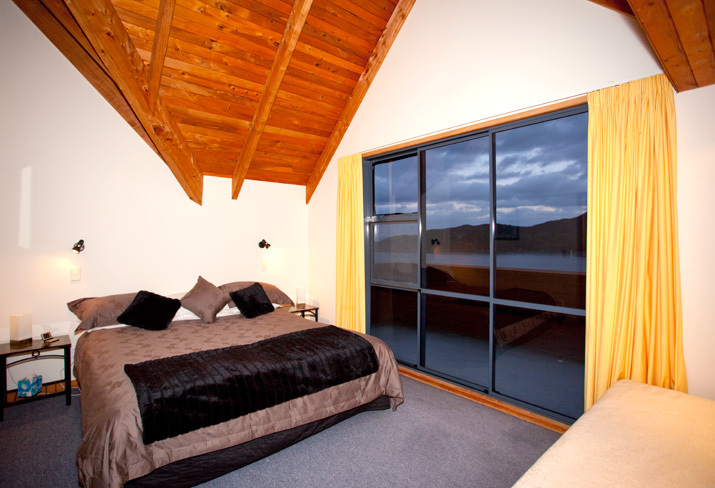 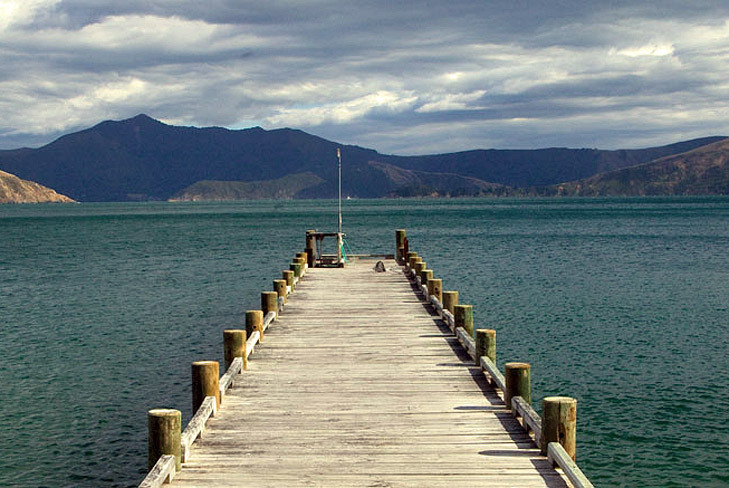 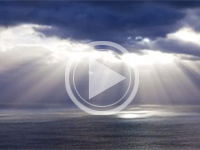 Located directly on the beach, looking out over the Marlborough Sounds, your days and nights will be accompanied by the soothing sound of the sea, guaranteeing a relaxing break like no other. 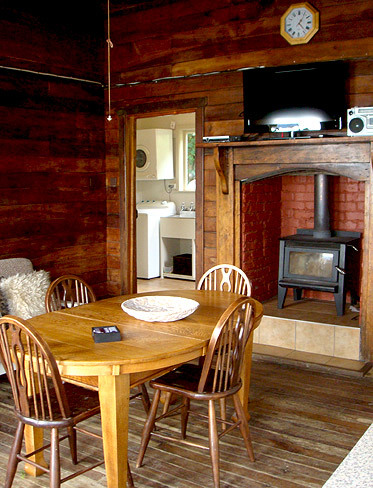 Capable of hosting four guests through a cosy double bedroom and a multifunctional living room, which can be transformed into an additional bedroom at the drop of a hat, Shorebeach Cottage offers fun for all the family. 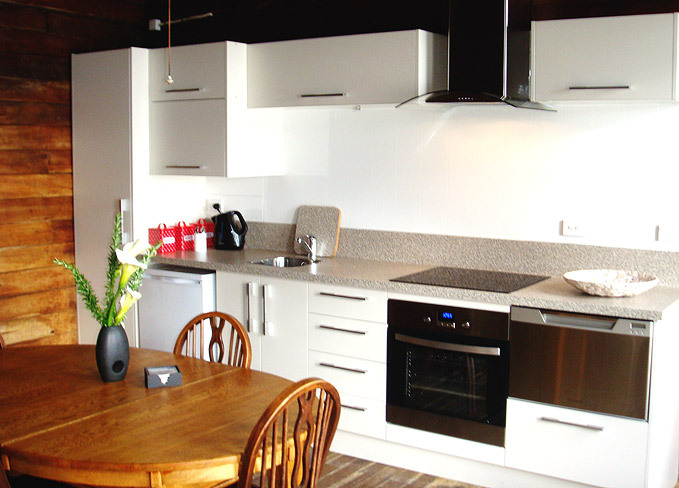 Whether you choose to take advantage of the fully equipped kitchen or Peter and Jan�s wonderful cooking, you won�t go hungry here! 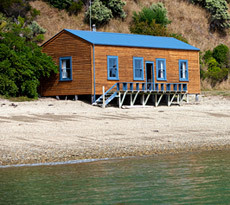 A wonderful balance of old and new, this New Zealand cottage for rent includes all the mod cons you could possibly require whilst still retaining its traditional charm through its incredible seascape panoramas and its romantic wood-burning fireplace � perfect for those cooler winter nights.